*Must be of legal drinking age. ID will be required. *Appointment to be made with Whispering Horse Winery Staff. Winner will be chosen on August 29th. A very special Wine Wednesday with The 2 Kennedy Sisters // Gettin' Saucy and Whispering Horse Winery as they taste the Pinot Gris Rose for the first time! Be sure to check out Whispering Horse's wines here. If you're looking for something to do this weekend the Chilliwack Youth Health Centre is hosting a Fun Run on Saturday, August 11th at 10 am. The run will take place at the Chilliwack Senior Secondary School Track at 46363 Yale Road. The Chilliwack Youth Health Centre provides free drop-in counseling and medical services to youth aged 12-26. The event is open to all ages with a 1k for Children and a 5k Run/Walk open to all ages. Sign up on the Running Room website by searching "Chilliwack Youth Health Centre Fundraiser Run" or using the URL https://www.events.runningroom.com/site/15273/chilliwack-youth-health-centre-fundraiser-run/. Use the coupon code SAVE20 to take $20 off your registration, making an adult registration $25 and child/youth registration $5 which will include a lunch. They will have lots of activities for the family including a bouncy castle, face painting, and slime making. Some exciting prizes will be given away to participants including a 2-night stay at Harrison! Feel free to stop by or participate in the event without registering to support the event and hear more about the Chilliwack Youth Health Centre. Over the next coming weeks we will be featuring five local photographers who are putting out some amazing work. We asked them 5 questions and for their top 5 favourite photos taken, to find out what lies behind their passion. Who are you and where can people find you? My name is Sarah Sovereign and people can find me on instagram @sarahsovereign, Facebook at www.facebook.com/sarahisovereign/ and www.sarahsovereign.com - I've been a photographer in the valley for years doing family & beauty photography, as well as all the weird & wonderful creative art stuff that I love to do. I'm also a recent Masters in Counselling grad, so I'm working on finding ways to use my love of counselling, storytelling, and working with people to create safe and supported spaces for people to share their stories. A lot of the time I feel like I fell into photography accidentally, but when I look back I can see a really noticeable thread - I wanted to capture spaces and people, I wanted to preserve stories - even really difficult ones. I began to take photographs to make sense of my place and experience in the world. There is so much that we can learn about ourselves from the stories we carry with us, and I'm continually floored by the ways I've been able to work with my own experiences, finding ways to share them with others through visual medium. Being able to tell stories with imagery is so powerful - it's like tapping into an entire other mode of communication and connection - sometimes words are just not enough. In my role as a photographer I've been able to connect to so many people - there's a really beautiful collaborative aspect to working and photographing people, and I think that's what brings me back to photography over and over again, too, no matter who I'm working with. Right now I'm really loving my 50mm - It's just so versatile. I go through phases though - my top 3 would probably be my 50, 35, and 85. If I were to look through my portfolio - it's probably work that's colourful, vibrant, and full of story, connection + meaning - I love beauty portraits, family portraits that really highlight personality and interaction, and I love working with local businesses/artists. Honestly I could work with artists all day long - I did a pottery video a few months back with Three Corners Artisan and I could have filmed her working on the wheel for hours - it's just so cool to work with people who are passionate about what they do. I think I just really love maker's stories, because so many people put so much heart into the things they do and it really reflects in the products and services they sell. One photo you’ve taken that still speaks to you? I could write a novel on this! One that comes to mind is "Mindfulness" from 2016, with amazing local artist Ashley Nicole Lord. The morning was really foggy and Ashley went into Cultus Lake- although I ended up mirroring the image in Photoshop, the water was still incredibly still, and she was surrounded by this thick mist all around. Just photographing it - the entire scene was so special, and I think we all knew we were shooting something magical. It was a time in my life where I was looking at finishing up my schooling, starting my internship and thesis, and just feeling in a place of daunting transition. I realized I wanted to reconnect back with myself, and just spend some time being present to myself, the space I was in, and the work I was creating - it's an image I still really love, and it was published on the cover of UFV's magazine "Louden Singletree" that year. I also really love my series with Sinead Julia Penner, a conceptual creative series that told the story of her journey with cancer, shooting narrative images from before she started treatment, to after her treatment was completed - we spent so much time working with Siobhan (Shiverz Designs) on different aspects of that series, and shot it over the course of a year - it was such a labour of love and healing for all of us I think. 5. Model Autumn Mastin, on a collab with Blossom with Quik Pik, Emmy Edwards, and Matthew Hawkins! The Chilliwack Fair is coming up on August 10-12 and it's going to be great. From the petting zoo, face painting, the BCRA sanctioned rodeo, live entertainment on the MainStage with Matt Johnson the Magician, the Hip Show and MORE! Happening August 10-12 at the Heritage Park grounds with parking open off Luckakuck AND Lickman Road (map below). BUY YOUR TICKETS ONLINE or at the door! From their website: "In 1873, the non-profit Chilliwack and District Agricultural Society incorporated and began producing the Chilliwack Exhibition and Fair. The Fair has run continuously since then and is the second-oldest fair in British Columbia." The hot weather is coming back and what better way to pair it than with your favourite cocktail! We want to know, what's your favourite summer cocktail AND where do you love to get it in Chilliwack?! Is there a place that makes the best Mojito; Margarita; Moscow Mule; Caesar... or whatever your drink is?! And where do you love to get it? Is there a bartender in town that makes it better than anybody else? WE WANT TO KNOW! Share a pic of your drink on Instagram with #aroundchilliwack #aroundcocktail and let us know. Come back later and see what people have to say about their favourite drinks and water holes. It was another great day in downtown Chilliwack. Did you get out there and enjoy it? Just around the corner is the biggest annual celebration in town what activities are you most excited for?! Be sure to check out the schedule of events for the day! Trevor McDonald shares the details of this upcoming great event. No excuse to not get out there and enjoy it. It's free, it's fun and the weather looks to be awesome. Get out there Chilliwack! Special thanks to Downtown Chilliwack BIA for putting this on!!! What better way to top off our Chilliwack Chiefs winning the RBC Cup, than having one of our fantastic citizens in Chilliwack be recognized as an ambassador for Hockey Canada. Congratulations to Andrea Laycock! Well deserved. "From multiple roles with the Chilliwack Chiefs, to her executive positions with the Chilliwack Minor Hockey Association and Chilliwack FC, Andrea Laycock is everywhere in the Fraser Valley." One of the hottest events of the summer in Chilliwack is the incredible Fortin's Village Classic Car Show, returning to the streets of downtown Chilliwack once again June 24, 2018! We are featuring a ton of amazing classic cars, and new this year, classic trailers! Come check out this fun event for the whole family. Check out this Feather & Rose Support Bags Event! Live Music, Awesome Food & Drinks, and an INCREDIBLE Silent Auction! THIS SUNDAY afternoon at Corky's Irish Pub! There are So Many things to WIN! Come! Come! It'll be FUN! Friday May 25th stock your freezer with frozen Chilliwack Blueberries. Frozen local blueberries for only $3.00 per pound! Our Farm Store is located at 51211 Chilliwack Central Road, open between 10 am - 5 pm. You can check the map out below. Klaassen Farms is a locally owned family farm located at 51211 Chilliwack Central Road. From frozen to fresh at Chilliwack blueberries we hope that you will love our berries as much as we do. Visit us online at www.chilliwackblueberries.com for recipes and pick-up locations. Did you know that the BC Government has an education grant of $1200 for EVERY kid born in BC in 2006 or later qualify once they turn six? Terry Brown has brought it upon himself to get the message out there and has had 3 videos produced, along with a Facebook page to get the message noticed. He's hoping to show parents/guardians how easy it is to get a head start for their kids future education. Check out what he has to say below. Page likes and shares are tremendously appreciated! This is a grassroots effort, and I hope the grant enrolment message gains steam and goes viral province wide. 89 days left until the first $1,200 BCTESG cutoff. Tell people, share, and let's make a difference! Help Terry Brown get the message out there and share his info/videos and links! Let's help our kids get ready for the future. BC EggFest is a BBQ Food Festival hosted by Grand Pappy's Home Furniture & Appliances. The BC EggFest is a gathering of Big Green Egg BBQ fans & experienced cooks from around the province. The "Cooks" will be showcasing their skills and talents, while preparing and demonstrating their specialty recipes all day long for the "Tasters" to enjoy! Whether you have a Big Green Egg or not, anyone with an appetite and a love for GREAT BBQ is invited to come out and "Taste" what our Cooks have in store! 11:00 AM - Taster Sign In Opens & Axe Throwing Experience begins! 11:00 AM - Let the BC Egg Fest begin!!! Food will be available all day. Just wander from egg to egg to sample foods and discuss recipes and techniques with the cooks. After the conclusion of the Eggfest, some of the recipes from the cooks will be posted on the website below for free download. 4:00 - 5:00 PM - Pick up Demo Eggs - All eggs MUST be picked up by 5:00 PM! Forever Beautiful Real is a legacy page created for Dana Louise O’Dell by her three, as she liked to call us, Goddesses (Daughter Leah/ daughter in laws Chelsea & Sara). Dana had so much left unsaid in this world, and it is our goal to carry on with her work. For those who may not have had the blessing of Dana in their life, she was a mentor, life coach, writer, artist, mother, nana and badass red-haired goddess. She lost her battle with cancer, Christmas of 2016. Dana had a blog, website, novel, and inspirational mantra cards in the works at the time of her passing. It’s our mission to finish what she started, and get her beautiful real words out into the Universe. 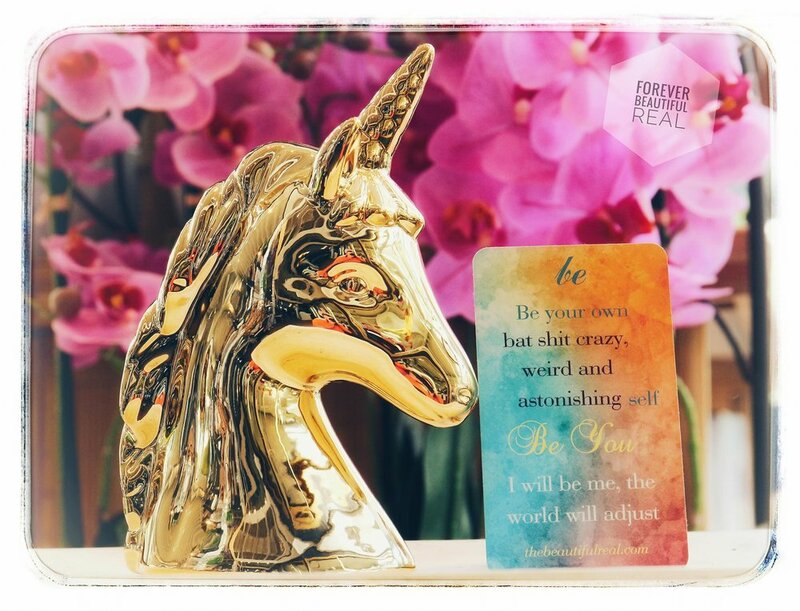 Dana’s Get Back Up Deck of Feisty Mantra Cards is available for purchase through our facebook page or at The Book Man. The money raised will go directly towards publishing Dana’s book, The Beautiful Real : A Navigation Manual for Dark Times. Dana’s Goddess, Chelsea started a sister page as well called Feather and Rose Support Bags. A non-profit community service, which provides support bags and care packages for patients undergoing treatments, such as chemo, radiation and more. Just like Dana anonymously did, during her two years of chemotherapy. This Saturday (May 5th, 2018) Forever Beautiful Real and Feather & Rose will be hosting a garage sale to raise funds to fill cancer support bags, for cancer Warriors in the community. Find us on the corner of Evans and Stevenson from 8:30 to 1:30. Refreshments provided by donation. It was an exciting evening for Chilliwack as Cowork Chilliwack held its Expansion Celebration. Cowork Chilliwack is an excellent place for a growing creative economy in Chilliwack. Offering varying office spaces for rent, from Hot Desks to different office sizes and even mailing address memberships (see their rates and offers here). The evening was put on by the Chilliwack Chamber of Commerce and offered a great chance for networking over drinks, tours of the facility and a few bites to eat too. If you're looking for a simple office space to rent, or just a chair and desk to get you out of your home office, Cowork Chilliwack is for you. You can even give them a test run for free on the first Friday of each month. Check their website for more details. TEDxChilliwack is an independently organized local group comprised of passionate volunteers who are dedicated to ideas worth spreading. The third TEDxChilliwack event will take place on April 14, 2018 at G. W. Graham Theatre. The theme of TEDxChilliwack 2018 is Time to Reboot. The event will bring forward a wide range of topics, issues and areas to explore. Another story from Chilliwack Economic Partners Corp.
John Martin, Chilliwack MLA, took a morning to meet with Stan Vander Waal, at Rainbow Greenhouses Inc., to learn a little bit about what they do and about the Christmas poinsettia. Around Chilliwack started as a passion project to connect with local interesting, unique people in Chilliwack; it's turned it to a showcase website and network to highlight Chilliwack and it's people. Post your community events for FREE on our Events Calendar! to share what's going on.